In this series, we ask the team at Abell Point to share their local knowledge and introduce you to the Hidden Gems of the Whitsundays. The one place that we always take visitors for an awesome view of Pioneer Bay, the islands & the expanse of Airlie Beach is a drive to the top of Mount Whitsunday Drive. It’s a steep drive up past Peppers Resort, but the view that’s promised at the top, will not disappoint. Right at the top there is a laneway to the right (just past the tennis courts), wander down the small hill and the view that opens up is breath-taking – it looks North over Airlie Beach, out towards Cape Grimstone. Just when you think things can’t get any better… drive back down the hill. 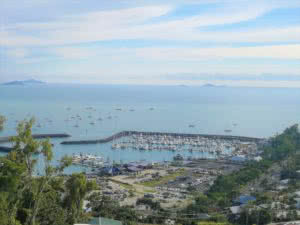 You then get views out over the hills towards Shute Harbour & then down over Mandalay and the Port of Airlie. After your drive and the best view in town, it is time to eat and relax. Coral Sea Resort is one of those places on earth that instantly makes your feel relaxed. Head to their in-house restaurant, Clipper Restaurant & Bar, which overlooks the entrance to Abell Point Marina. 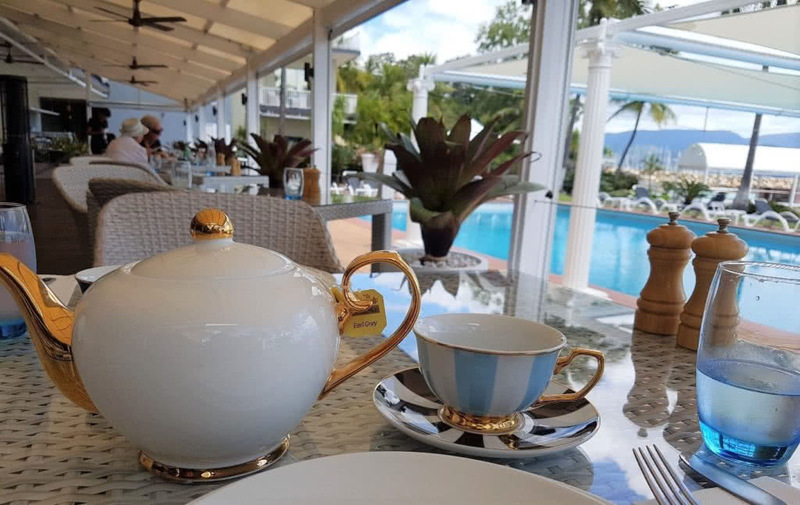 They are open for breakfast, lunch and dinner, although my personal favourite is the High Tea!! The restaurant has no troubles catering for food allergies/preferences. They also offer a Lunch & Swim Package – so you can gorge yourselves on the scrummy food, work it off with a lazy (or energetic) swim and then dry off/sunbake on the pool lounges with a cocktail. 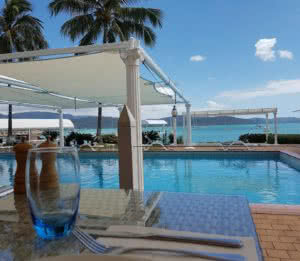 It’s a very easy & relaxing way to spend the day in Airlie Beach.